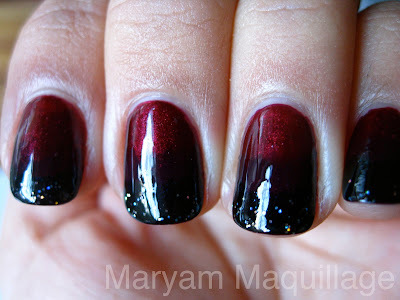 Maryam Maquillage: October News & Past Faves! I'm super excited to share the news and will be celebrating this occasion throughout the month with Latin inspired nail art, celebrity makeup looks and more -- please let me know if you have any requests!! My feature also coincides with Hispanic heritage month, so the timing couldn't be more perfect! Off I go! For now, enjoy my past favorites of the aforementioned!! you so much deserve this! Congrantsss maryan im going to buy it ;) u have talent so u deserve getting the mag attention ;) xoox lia ps im proud of you girl !!!!! WOW! That is so amazing sweetie! I'm gonna have to pick up that magazine then now aren't I!? You are so talented & you so deserve this! That's incredible news. I'm absolutely thrilled for you and can't wait to see everything that you've got in store for this amazing month. Happy Birthday, beautiful lady! Love this!! So proud!!! The Arabic look made it!!! LOVE IT!!! xoxoxo! Congratulations!!!!! I can't believe that you get to be in a magazine, that is so cool! Congratulations on the great news!!! You deserve it totally! Congrats on the great news,can't wait to see your upcoming halloween looks and more! Congratulations! Good to hear such wonderful news on this great opportunity to share your art with everyone... I'll be looking out for your stellar contributions on the magazine racks, too! Felicitaciones Maryam! You deserve this and so much more! I can't believe one of the most inspiring people I've met on this blogosphere is featured on such a prestigious magazine. WOW Maryam! Congrats! I'll make sure to check out the issue. Congrats!!!!! I always love your how-to's & reviews! Congratulations lovely!! You so totally deserve it! CONGRATS!!! 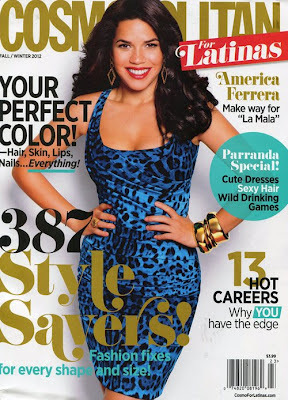 What a huge honor to be featured in Cosmo for Latinas! VERY exciting!! Happy Birthday greetings well in advance. Hope you have a great month and may all your aspirations be fulfilled and all your dreamz come true. Incidentally I am in Boise, Idaho past one week and should remain here till end October'2012. 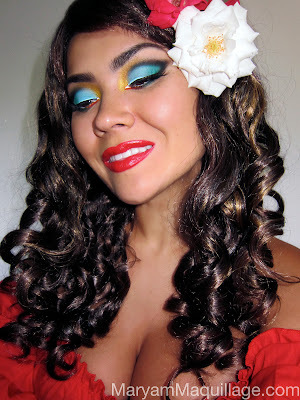 Great photos and perfect makeup! Congrats on the feature -- exciting! PS. I miss "Ugly Betty," the show. Congratulations hun that is so exciting!!! Love the butterfly and the Halloween nails. Can't wait to see your upcoming looks for the month!!! that is amazing, Maryam!! you very much deserve it!! hugs!!!! !